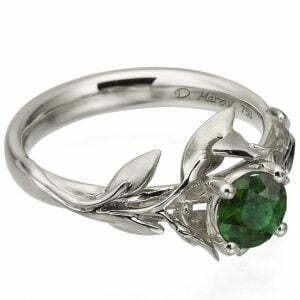 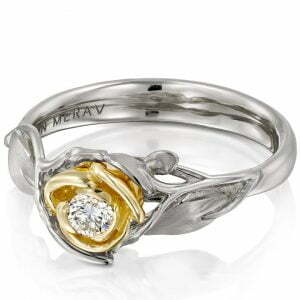 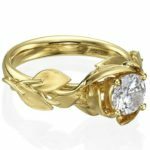 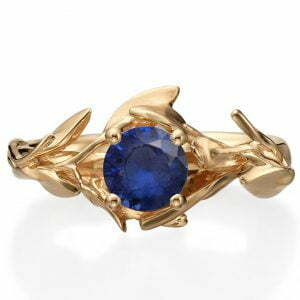 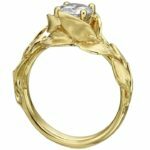 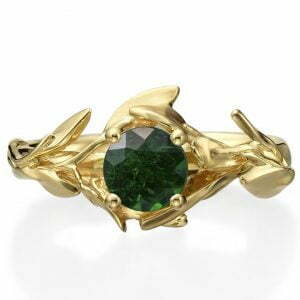 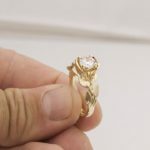 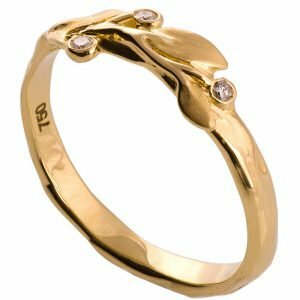 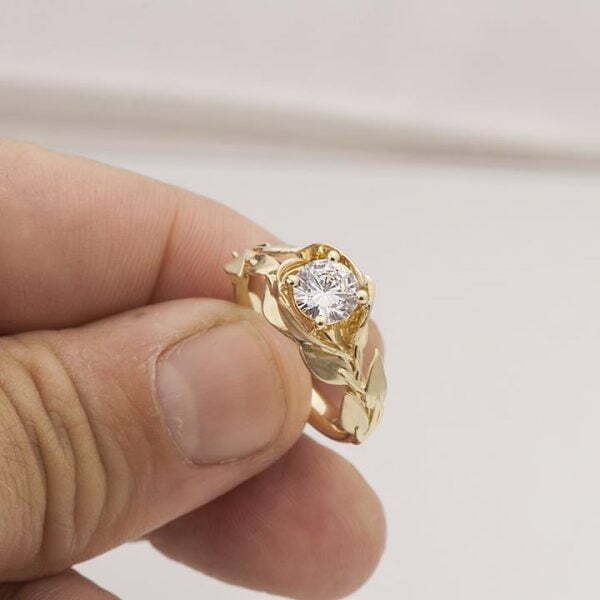 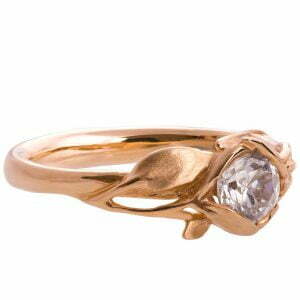 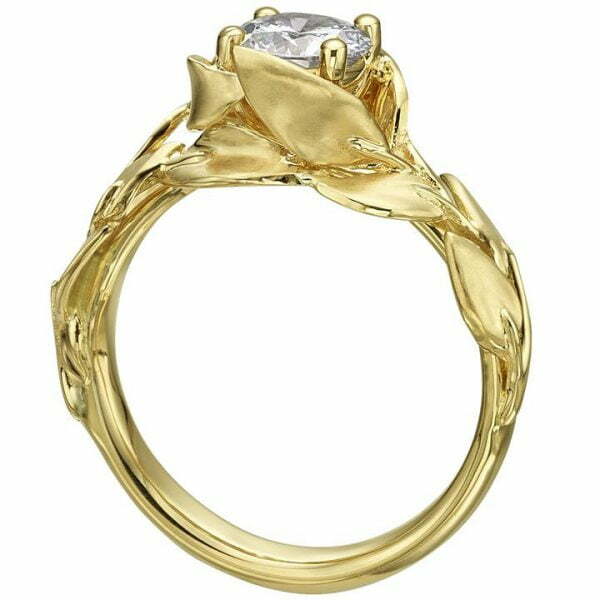 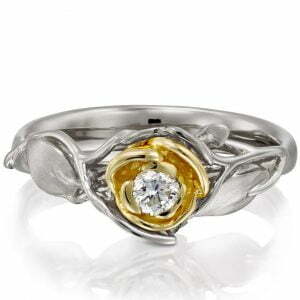 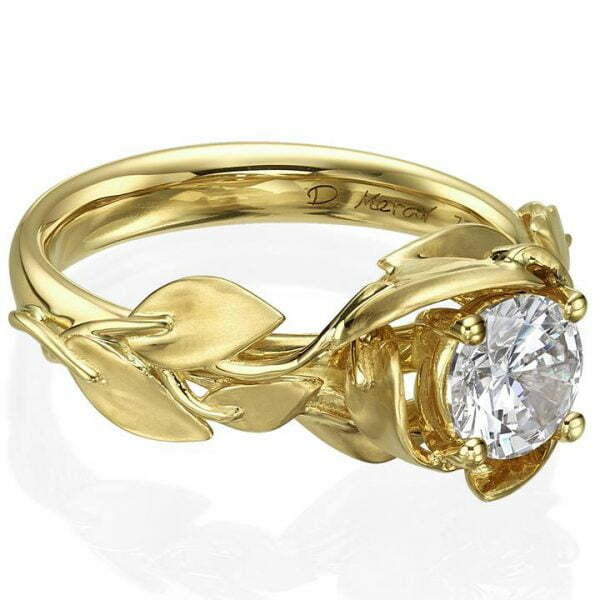 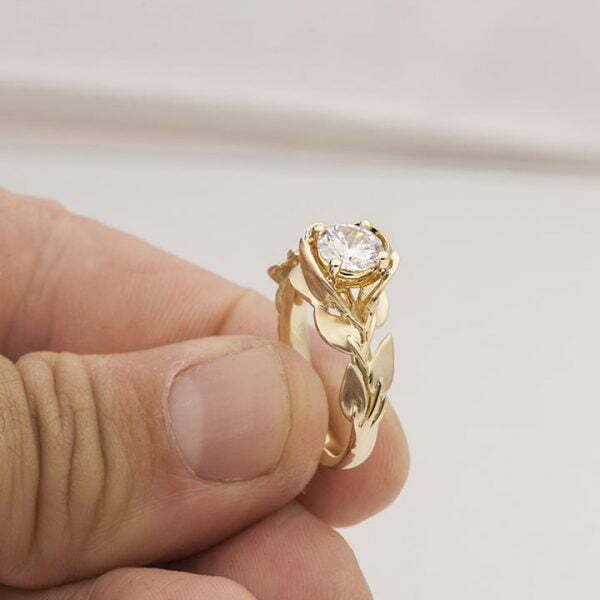 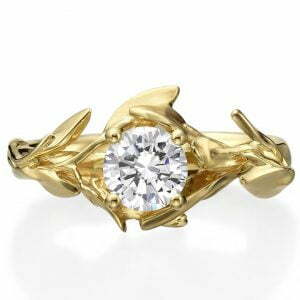 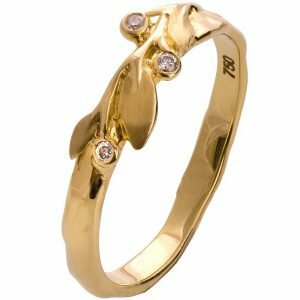 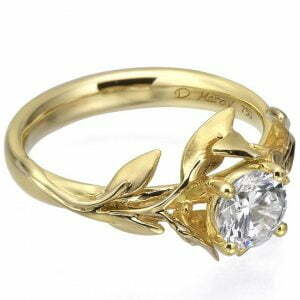 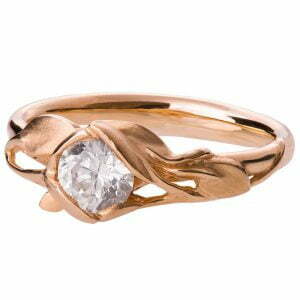 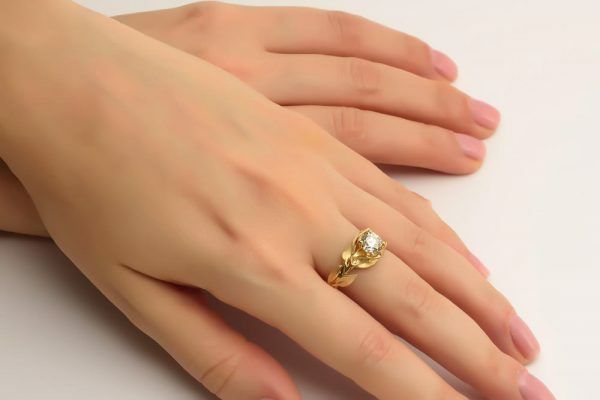 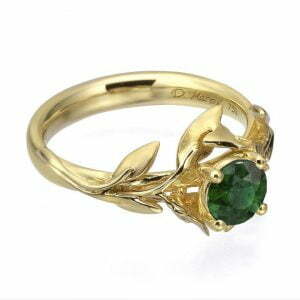 A handmade leaves engagement ring made in a delicate natural composition. This pictured ring is set with a 1ct natural white diamond of your choosing and hand finished to a high polished shine at the stems and band while the surface of the leaves are brought to a nice satin finish. 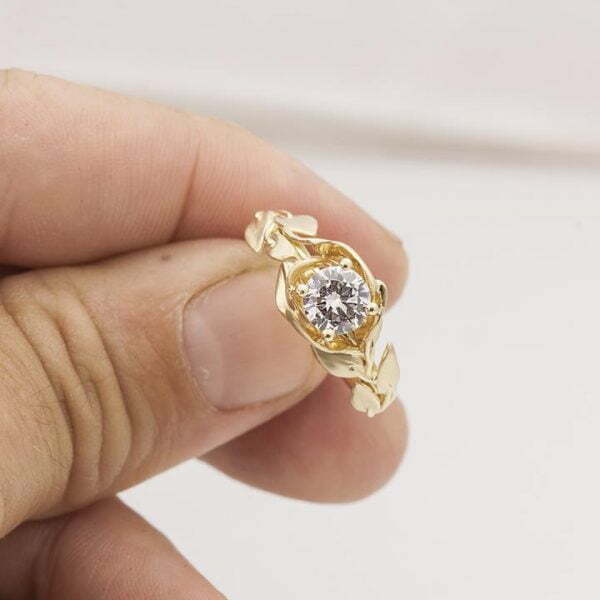 This ring is about 9mm wide at the widest point. 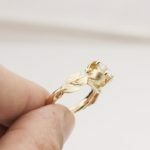 The band is about 2.8mm wide in average.